Today is the feast day of Pope St Pius X, often called the ‘Glorious Pope of the Eucharist’. May his steadfast faith and fervent devotion to Our Eucharistic Lord inspire us all! In many ways Pope St Pius X’s Eucharistic devotion mirrored that of Our Holy Father Norbert. Just as Norbert was sent to Antwerp to crush the heresies of Tanchelin and offer reparation to the insults heaped on the Most Blessed Sacrament of the Altar, so St Pius X, as Patriarch of Venice, held three days of public reparation when thieves stole a ciborium from a church in Venice scattering the Most Blessed Sacrament upon the ground. Our Holy Father Norbert, pray for us! 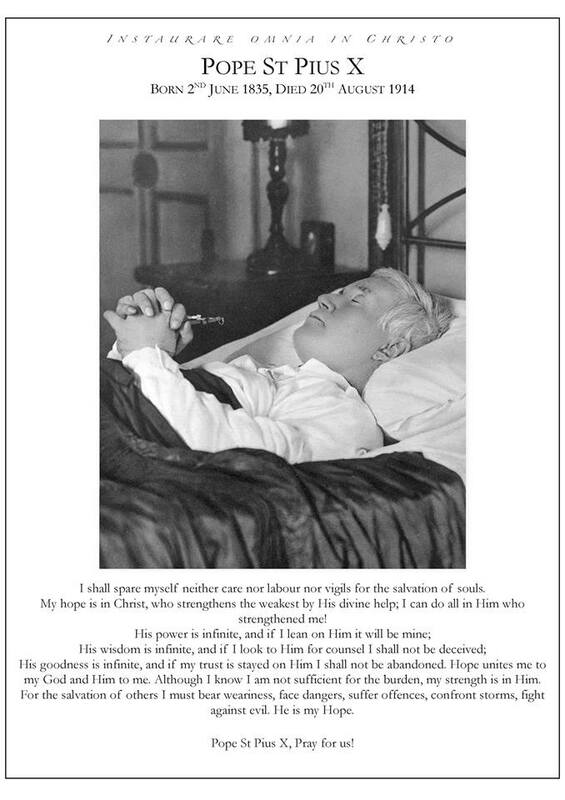 Pope St Pius X, pray for us!